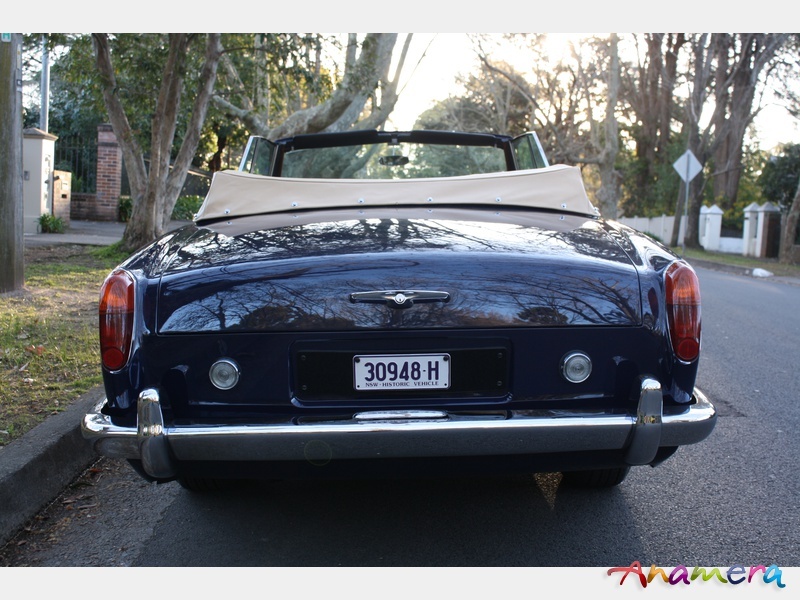 The Bentley T convertible was hand-built in very limited numbers between 1967 and 1971. 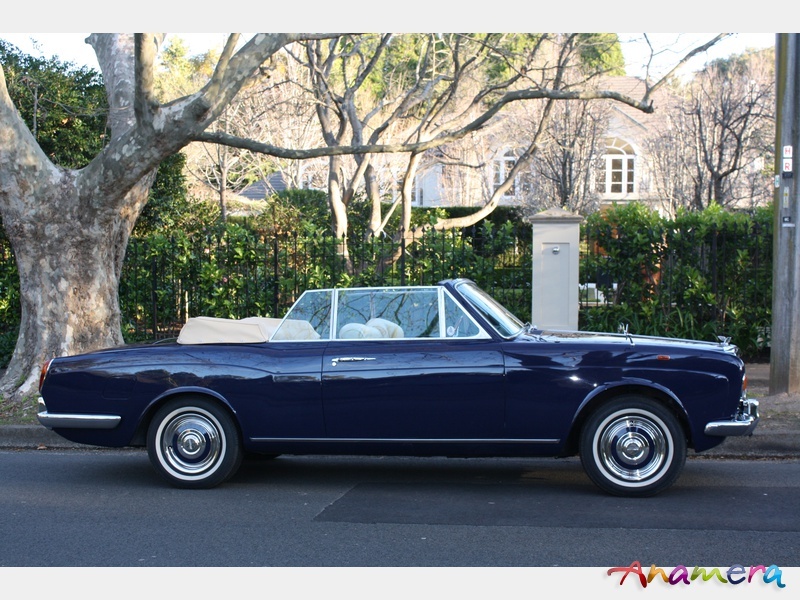 In total, for both left (14) and right hand drive models (27) there were just 41 cars made making it a very rare motor car. 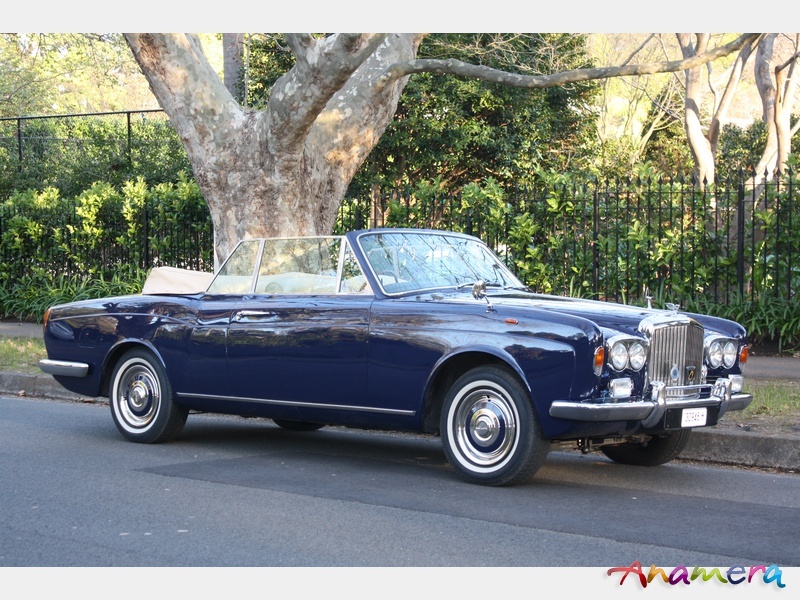 This 1968 T Drophead Coupé in Ming Blue with coachwork by Mulliner Park Ward is a very rare right hand drive example and is believed to be the most highly specified "special orders features" of this model of all. For improved comfort the "Special wide front seats are required as close to the centre as possible, and they are to be completed with folding armrests to the inside of the squabs, the cushions to be plain trim." For improved legroom, the "front seat runners set back 2" from standard." "The rear seat cushion is required to be extended by 1" and lowered at the rear by 1" - it is to be plain trim and the squab is to be as soft as possible." The plain seat bottom cushions are a rarity. This particular style of plain seat cushion, with fluted squabs was originally designed by H.J. Milliner and known as the "Renillum" design (Mulliner spelt backwards). Renillum seating first appeared in pre-war Milliner bodied Wraith and Phantom III models. "The armrests are to be thinned per Mr Hodge's instructions to the Coachbuilders." "Smooth rubber mats to front & rear compartment." 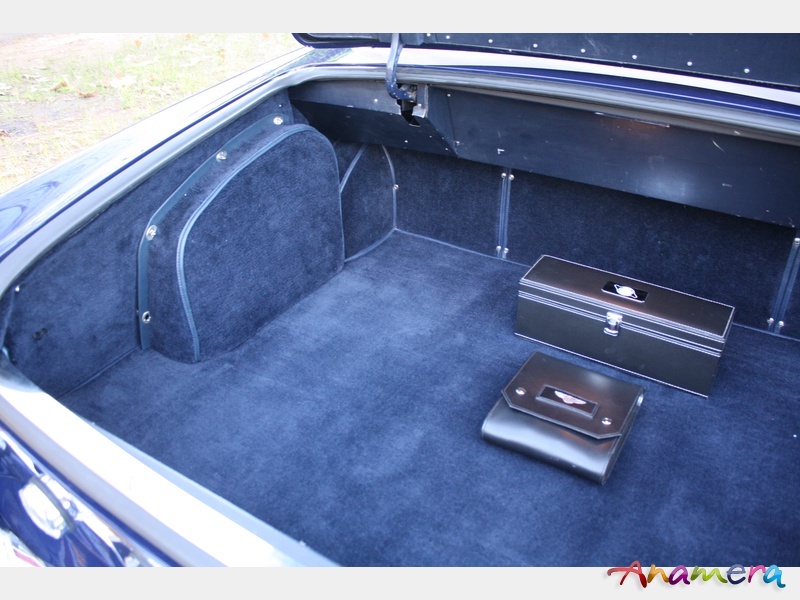 Leather bound and tailor made to sit atop the Wilton wool carpets.
" Beading to the lower part of the hood is to be 3/8" wide Brass Chrome Plated." This replaces the standard factory Everflex used on the convertible roof. "Full refridgeration; Fog lamps; Sundym glass throughout; Wing mirrors; Irvin lap safety belts; Badge bar for 3 badges; G.B plate; Flasher repeater lamps." It also features the desirable burr walnut "Chippendale style dashboard". 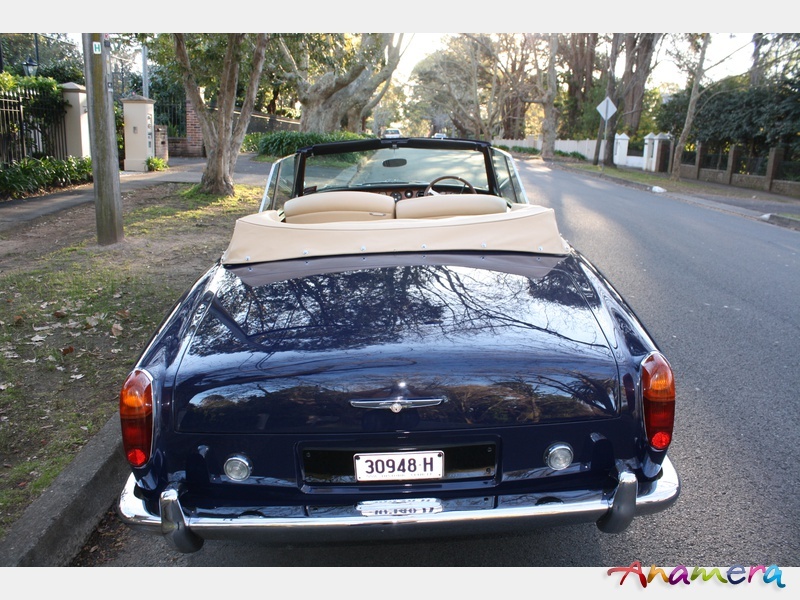 Originally ordered by Mr Niall D. Hodge a Scottish businessman this vehicle is one of the first convertibles to leave the factory with the smoother 3 speed GM 400 gearbox which became standard. The second owner was Lord Owen Lloyd George the grandson of the British Prime Minister David Lloyd George. 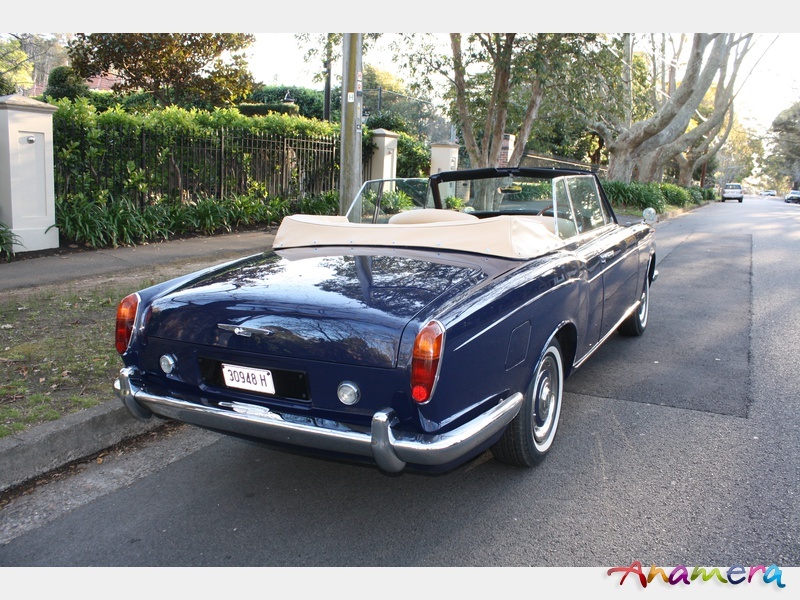 In absolutely beautiful condition, highly original (including the stunning leather Connolly Champagne interior) and with excellent provenance. 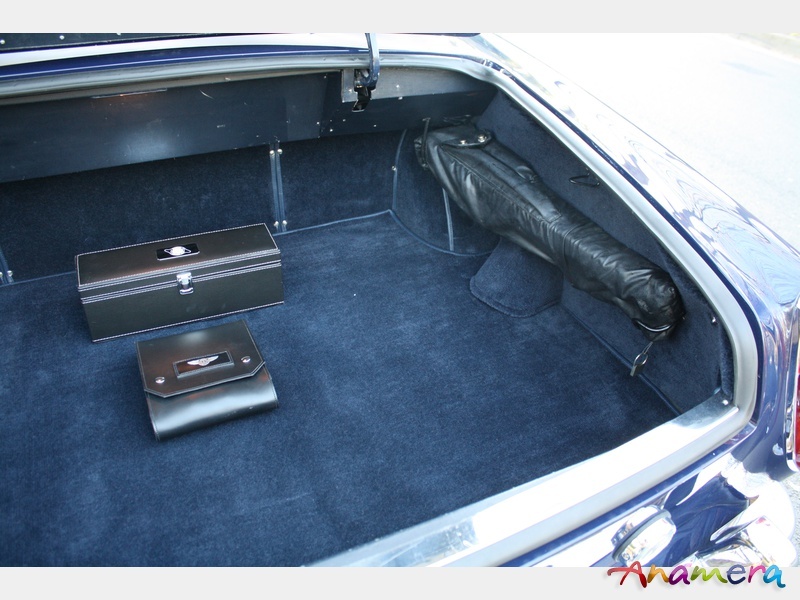 Fitted with a lovely Nardi steering wheel, the original Bentley steering wheel accompanies the motor car, as does the original 8-track stereo player and original leather bound rubber mats as specified in the order specifications. 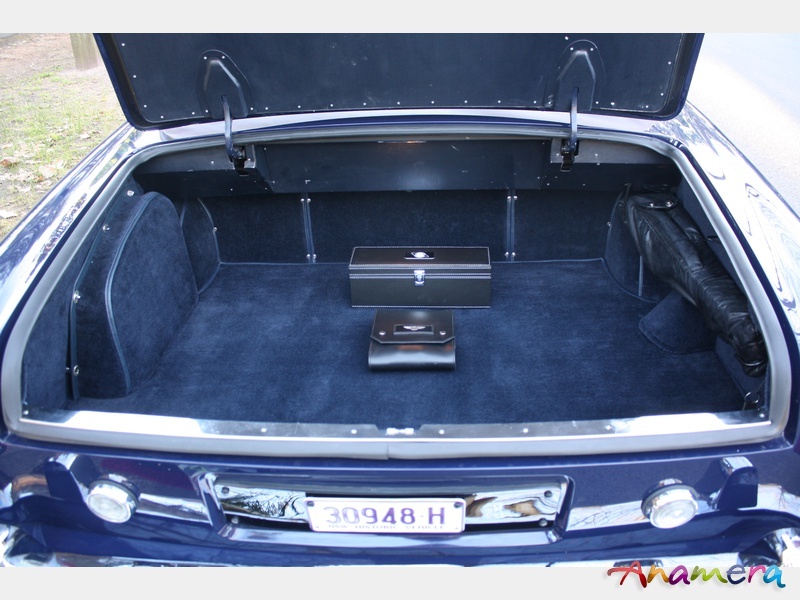 This concours winning car which has new carpet in both cabin and boot, has been maintained by marque specialists and is owned by a Bentley collector and club official, it comes with its original handbooks, original complete tool kit and a copy of the factory build sheets.